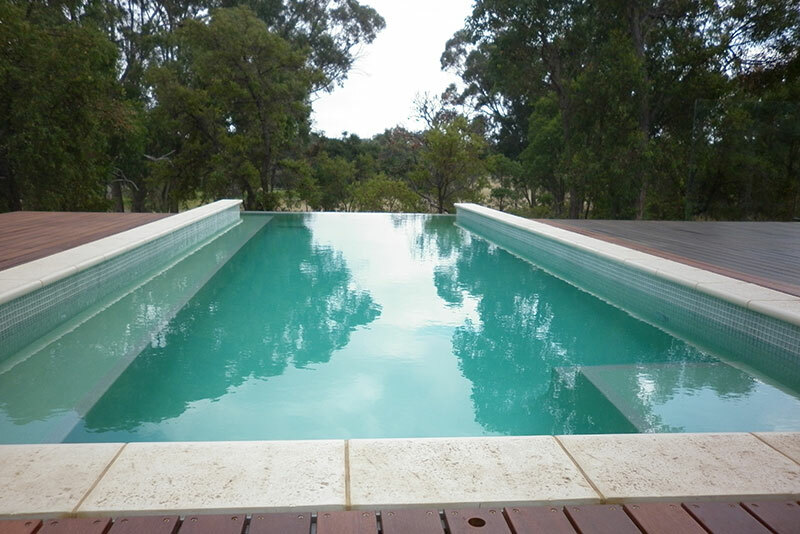 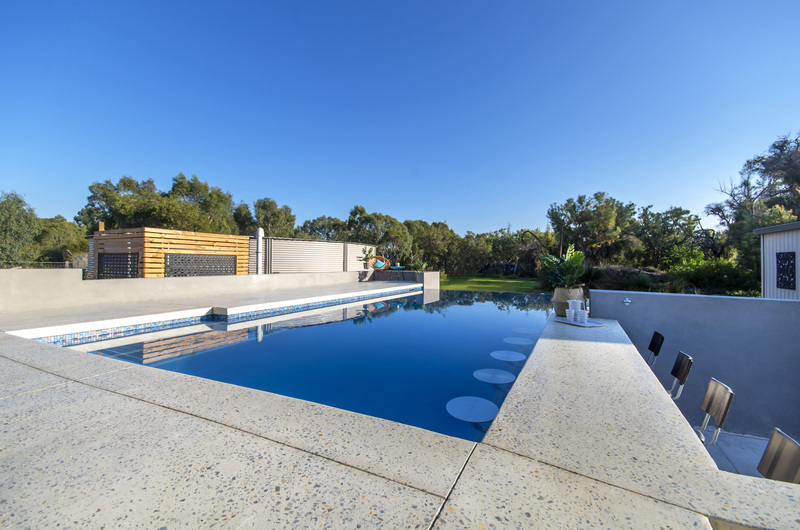 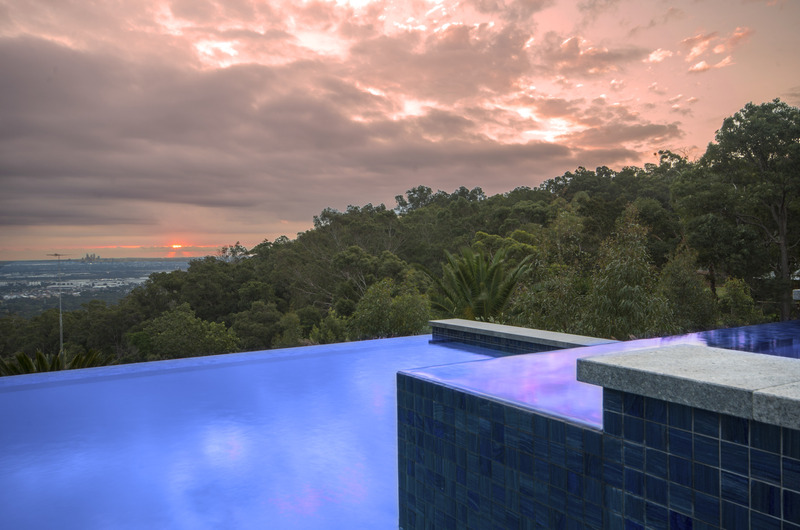 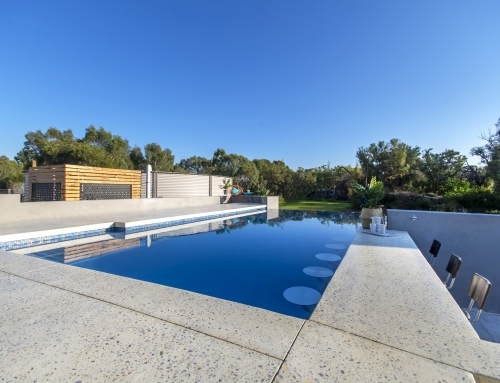 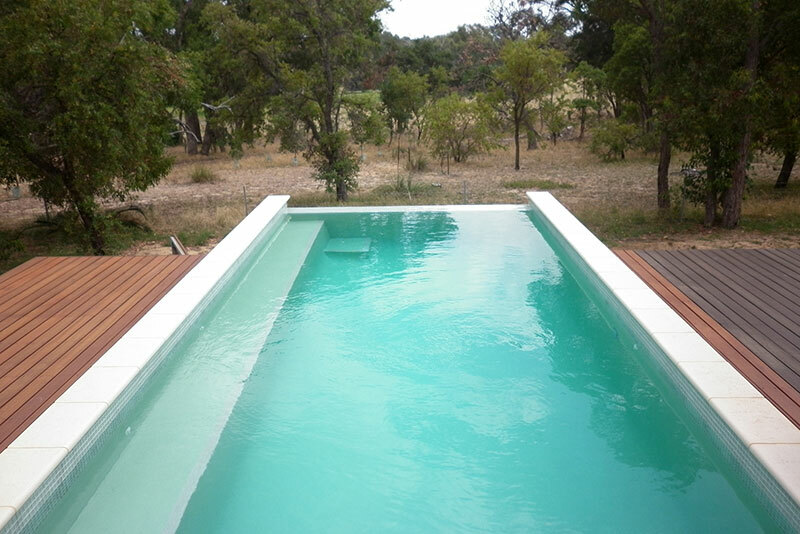 The Baldivis infinity edge pool enhances to feel of this property and provides the client a spot to relax, cool off and taking in the stunning natural surrounds. 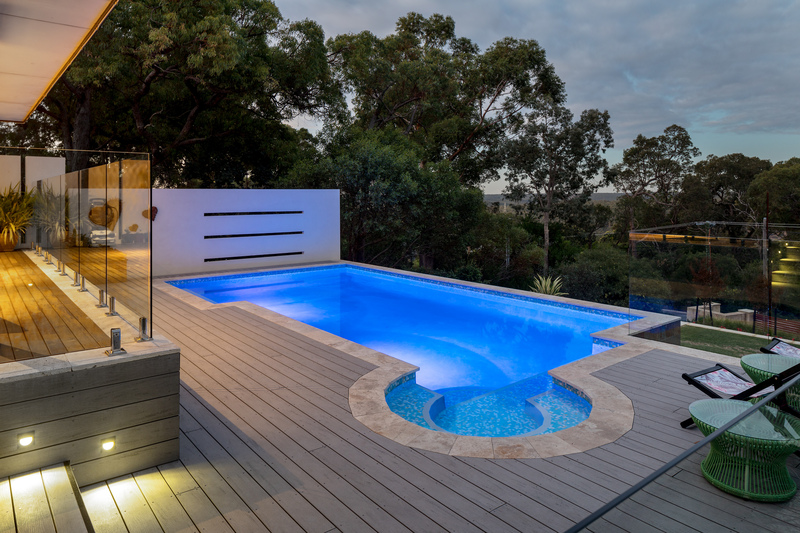 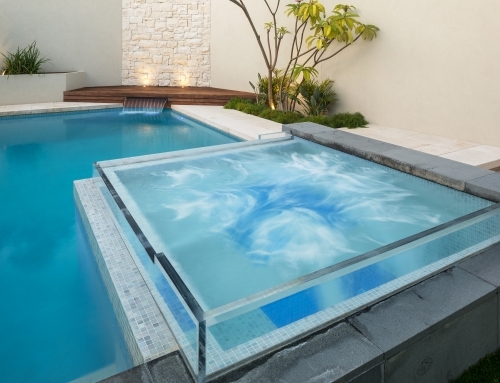 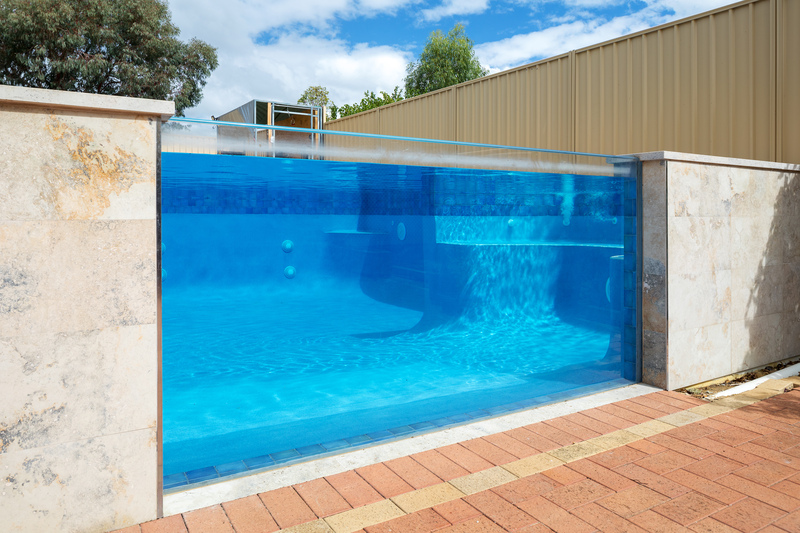 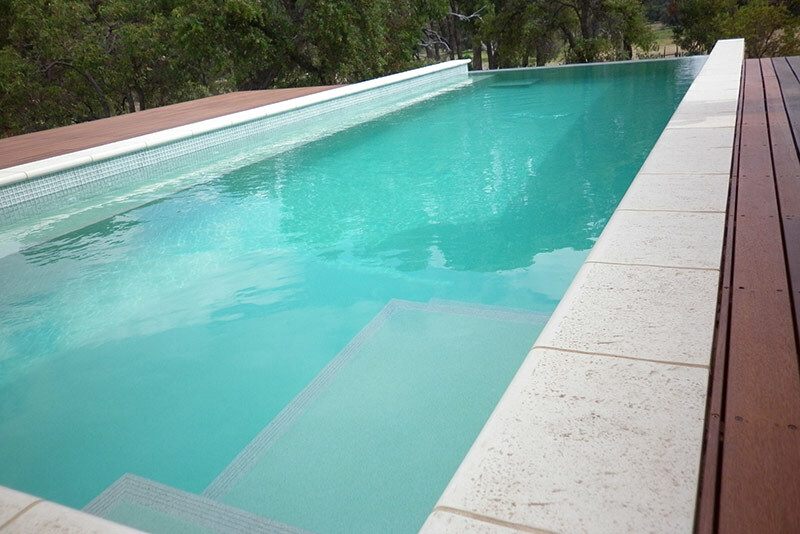 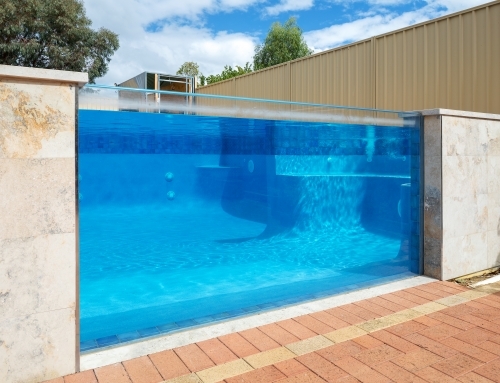 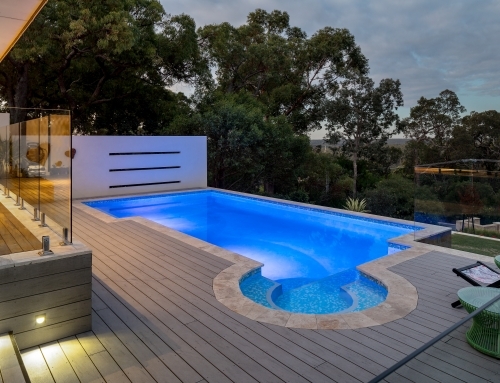 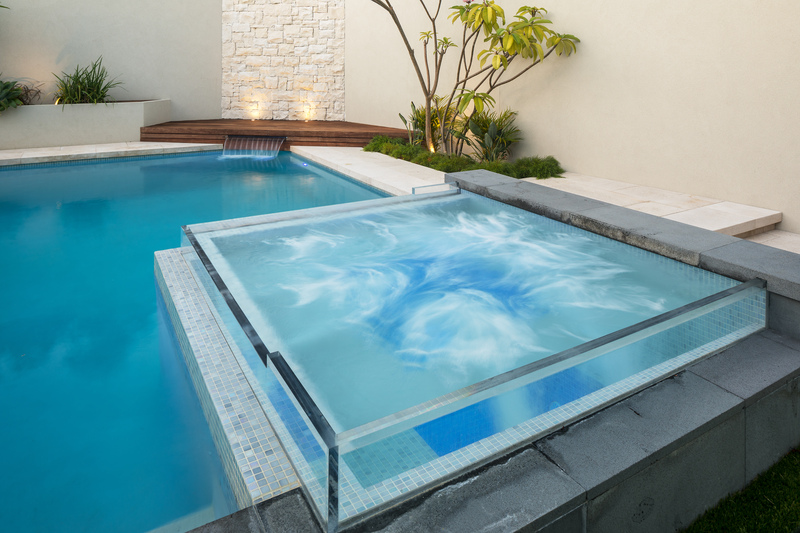 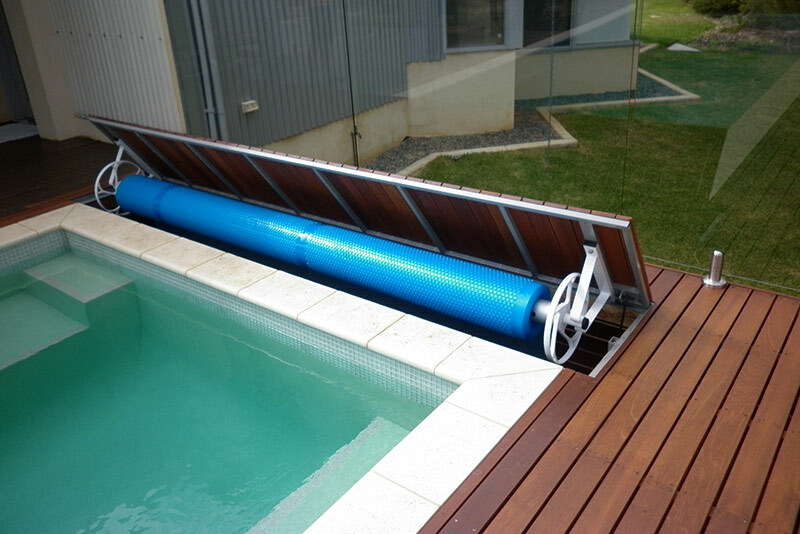 The elevated pool and infinity edge negates the requirement for perimeter fencing, allowing for an uninterrupted view. 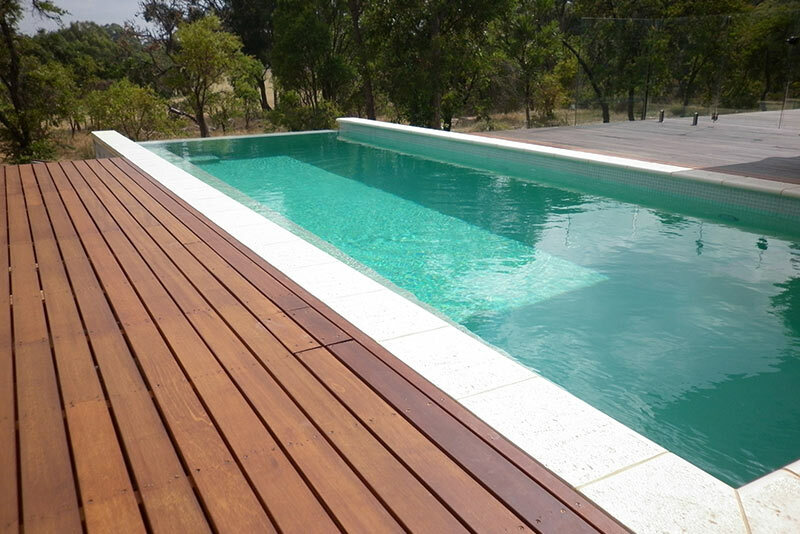 The internal finish complements the natural hues of the surrounds whilst timber decking conceals the roller/blanket system.